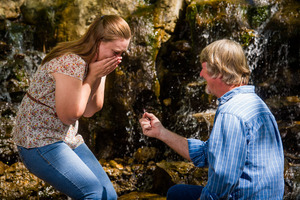 We are so happy that you are planning a trip to Eureka Springs, Arkansas! 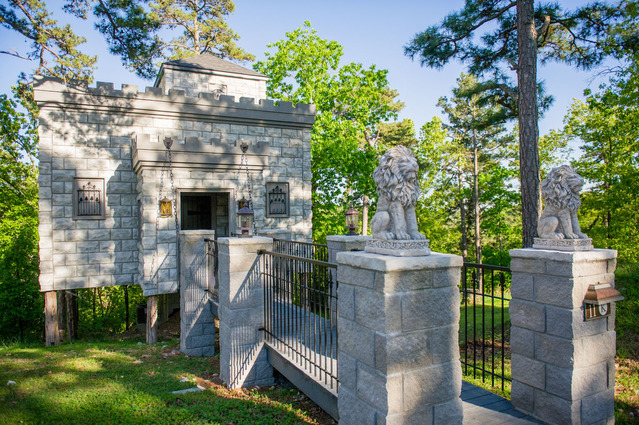 Once you explore our website you’ll discover that we are not your ordinary Eureka Springs lodging! 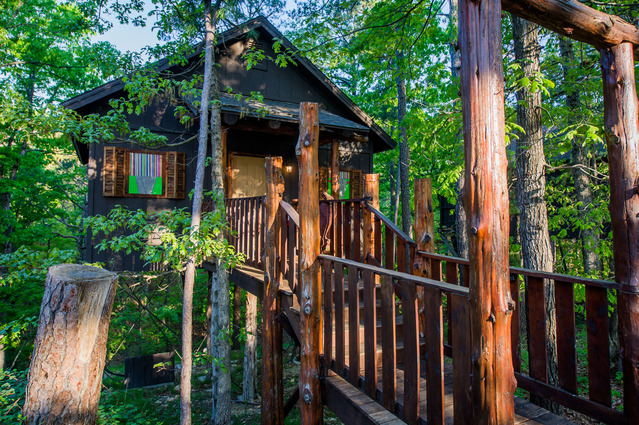 The Treehouses… Perched on cedar logs surrounded by trees once you enter you’ll be whisked away to a Romantic destination… Venice, Santa fe or New York (whichever theme you have chosen) and when you go out on the deck you’ll feel as though you are in your very own forest! The Hobbit Caves… You will feel almost giddy as you meander down the pathway, once you step inside you will be immersed in a Romantic Magical Cocoon! 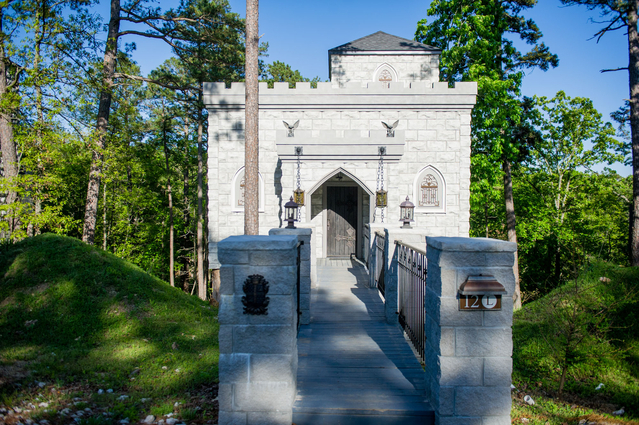 The Castles… Upon arrival you will be intrigued with the façade that is designed after a 1600 century Castle. Once you enter you will be transported to a romantic fairytale with a hidden passage that takes you to a very Romantic Jacuzzi Tower. So go ahead and explore our website… View all that we have to offer and don’t forget to take a peek at the Romance Packages that will surely make your stay a truly romantic one. 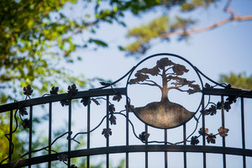 "From the moment we drove thru the gate we felt we had arrived at a romantic Disneyland! There was so much thought put into every detail. 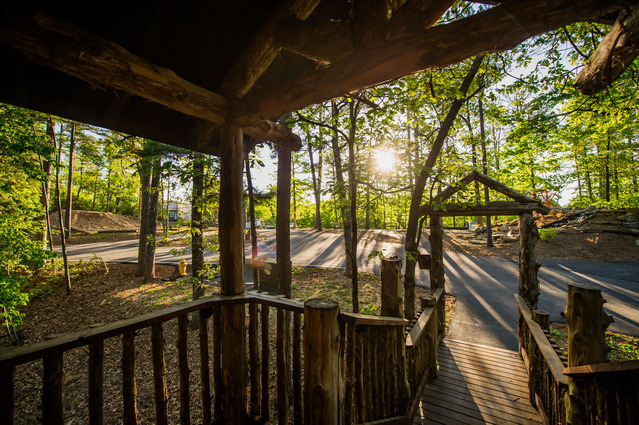 The welcoming bear, the waterfall and all the surprises outside of each treehouse. The colorful front windows, they just made us smile. 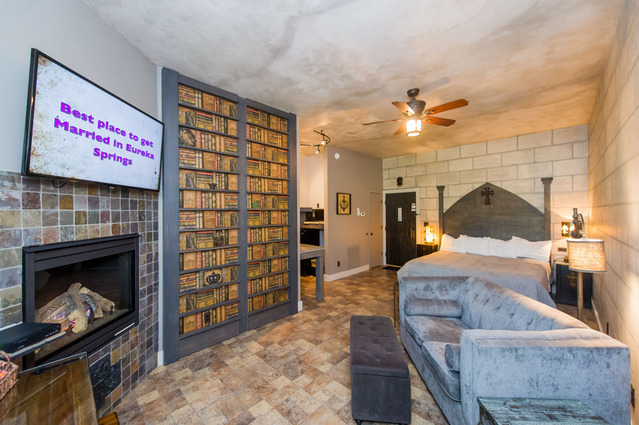 We had booked a Venice Treehouse and we arrived at dark, when we walked in, the arch twinkle lights were on along with the wall sconce and it looked like the entire cabin was candlelit. It was just so romantic. Who would of ever thought to paint it orange?!? Don & Elaine you two should have your own HGTV Show! We loved all the dimmer switches especially the one by the bed that controlled the sconce. You even had the thoughtfulness to have a place to plug in our phone chargers. Now that is attention to detail. We’ll never stay anywhere else. THANK YOU!"